Jarrow Formulas Resveratrol Synergy brings together resveratrol (3,4’,5-trihydroxystilbene) and other naturally- occurring phenolic antioxidant compounds to form a potent synergistic formula that promotes the normal activation of the body's endogenous antioxidant network and supports the cardiovascular system. 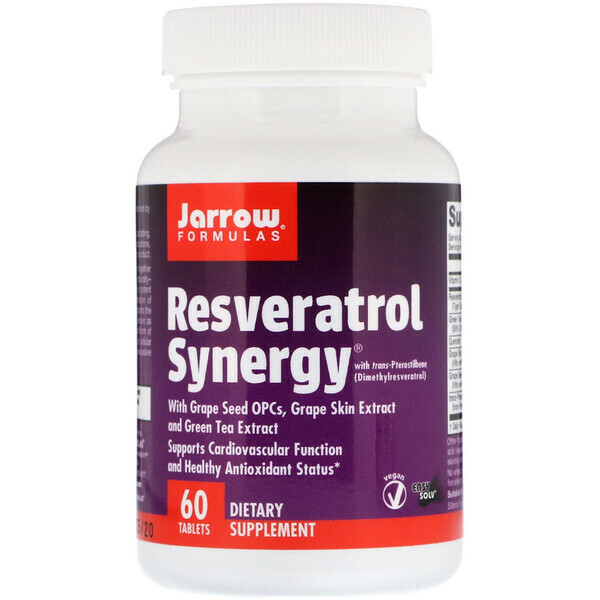 Pterostilbene (Silbinol), also known as dimethylresveratrol, is a naturally-occurring, methylated form of resveratrol. 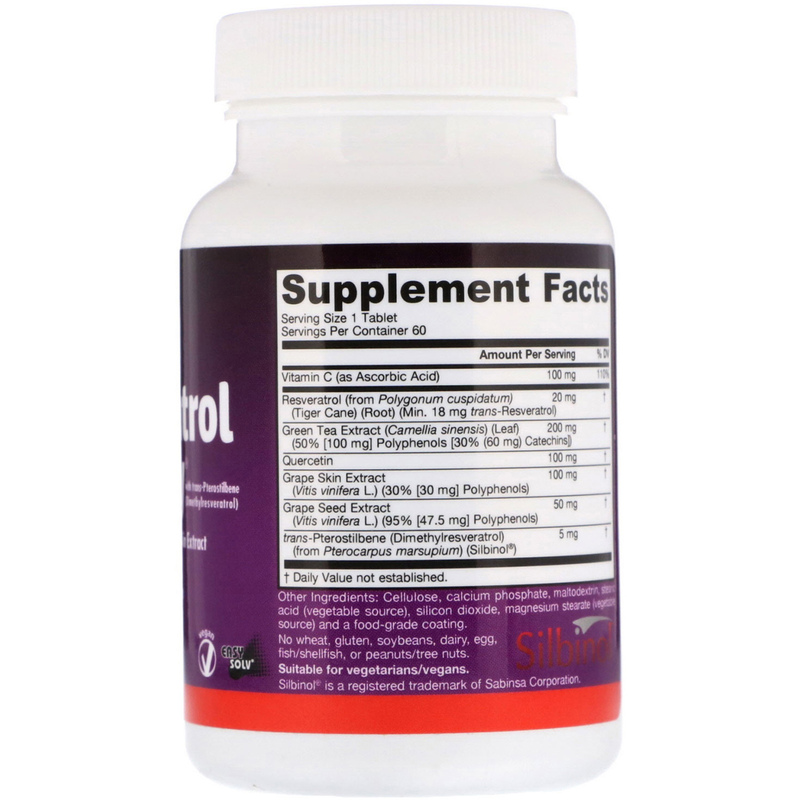 Methylation greatly improves intestinal and cellular uptake of this important phytochemical while reducing excessive liver clearance.